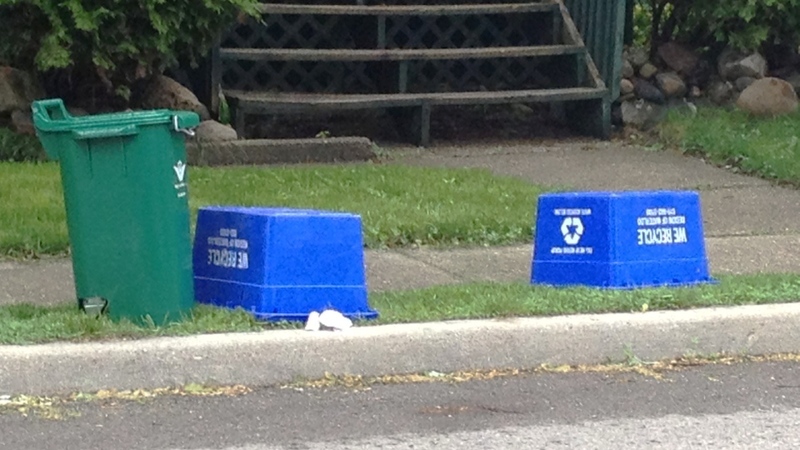 At our house we have three blue bins, one green bin, and two outdoor composters (one tumbler, one open air for plant materials). We also shred our fallen leaves onto garden beds as mulch. 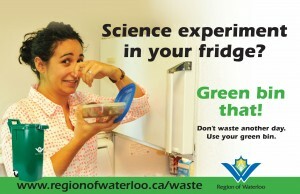 But we’re just a drop in the bucket when it comes to waste management issues in Waterloo Region. There’s Diversion and Reduction. Biosolids. Tipping fees. A massive $4-million shortfall. Washrooms sinking on Mount Trashmore. Maggots in Green Bins. The drama does go on, and I for one, find the solutions counter intuitive. Let’s start with the fact that our region is in an enviable position compared to at least six not far off communities, which are running out of capacity in the next ten years or less. That’s good for us, yes? According to the Region of Waterloo’s Waste Reduction and Diversion Study (Interim Report 2 September 2013) we’ve 20 years left. 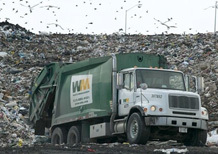 Our waste diversion rate is 52 per cent, not bad and at least improving. However, and isn’t there always a however? It seems one of our diversionary tactics has been high tipping fees, and that’s where $3 million of the $4-million shortfall comes in. Businesses found a much cheaper alternative with private contractors hauling garbage to private facilities instead of paying inflated tipping fees here. That makes good business sense, but the Region doesn’t like it. We need that money. We’re hearing and reading a lot more about how to recover the money since council began debating the 2014 budget last fall. A no brainer is to reduce regional tipping fees so that more money flows into the landfill. But wait. More money equals more garbage. We’d run out of capacity sooner. It wreaks havoc on our Diversion and Reduction planning. 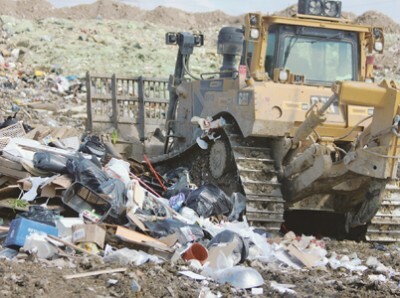 Last April the landfills initiated a minimum $2 fee. There was a lot of talk about it at our house, as the man just loves going to the dump. I’ve forever been irritated with the ‘no salvaging’ policy. You ever see some of the stuff at the dump? Unbelievable what people throw away. There are towns all over (the U.S. and abroad) that proudly declare you can come on in and take what you want. Isn’t that the smarter way to reduce the load on the landfill? Who CARES if you take something? Take it, I say. 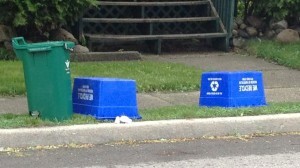 Now the region is floating ideas of limiting garbage bags at the curb side, or pickups every other week. I don’t envy staff trying to do the make-up math on this one. I also don’t envy taxpayers who will be expected to make up for this short sighted shortfall. 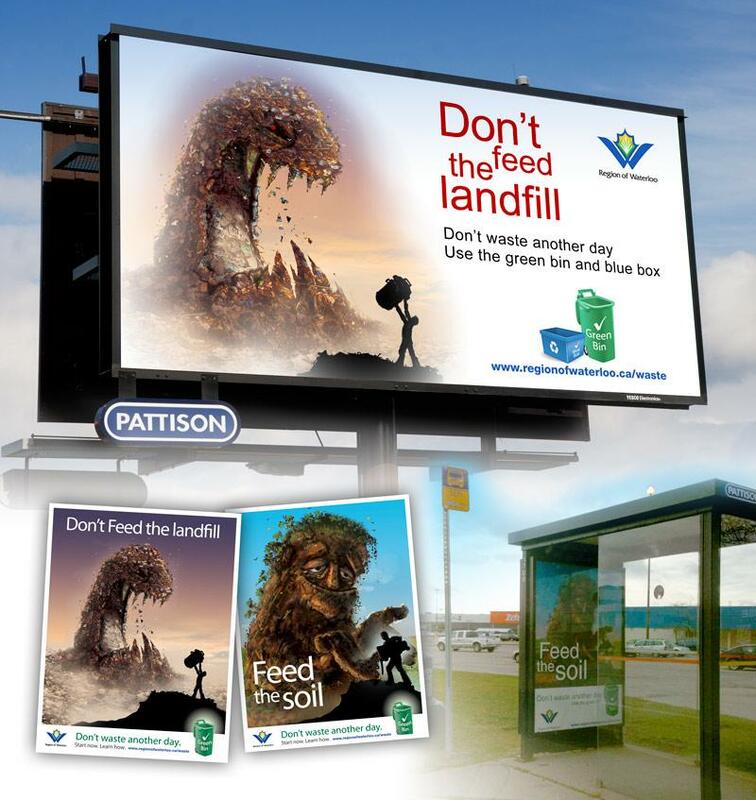 I predicted massive money would be spent on social marketing campaigns to make us love our green bins more, and sure enough the billboards are all over town, telling us to use our Green Bins. I’ve received no less than three (three!) duplicate fridge magnets on how to use my Green Bin. As mentioned we do our best with recycling and composting. But that’s just our backyard. What about our city streets? In St. John’s, Newfoundland every street corner has an ornate black iron encased waste diversion container for cardboard/paper, plastics, and garbage. On the outskirts of the Halifax airport we stopped for coffee to discover an outdoor four part diversion container, including organics. 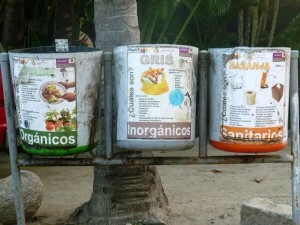 Even the tiny fishing village of Sayulita, Mexico, on the beach no less, had three part diversion, including organics. Small in the grand scheme of things perhaps, but wouldn’t these city street containers at least be habit forming? I’m seeing them in the malls, now too. They certainly get people thinking about our garbage outside of the kitchen.